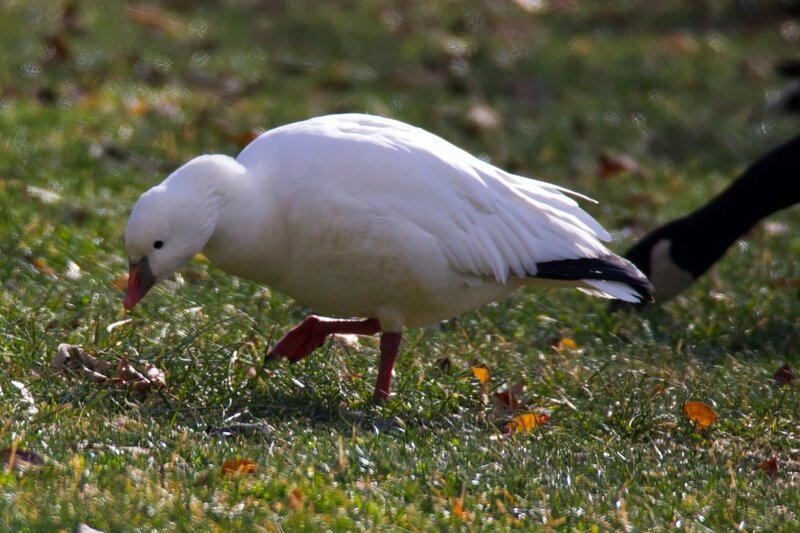 A new and unusual visitor to Athens Ohio, the Ross Goose. 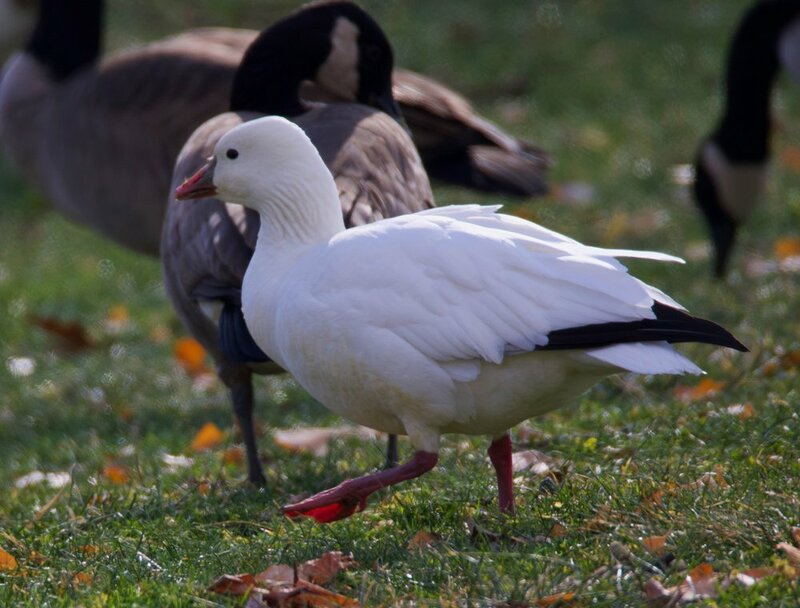 The Ross Goose is a tiny white goose with black wing tip. 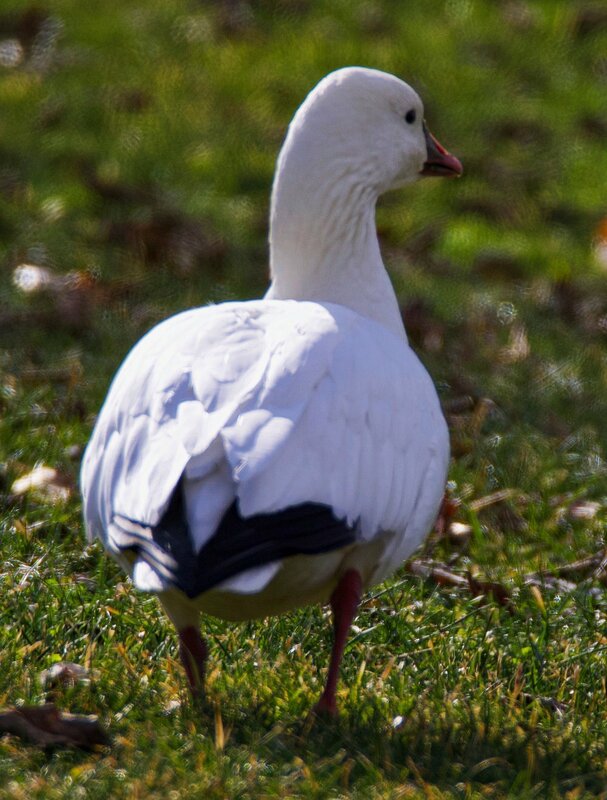 He is similar to the larger Snow Goose. 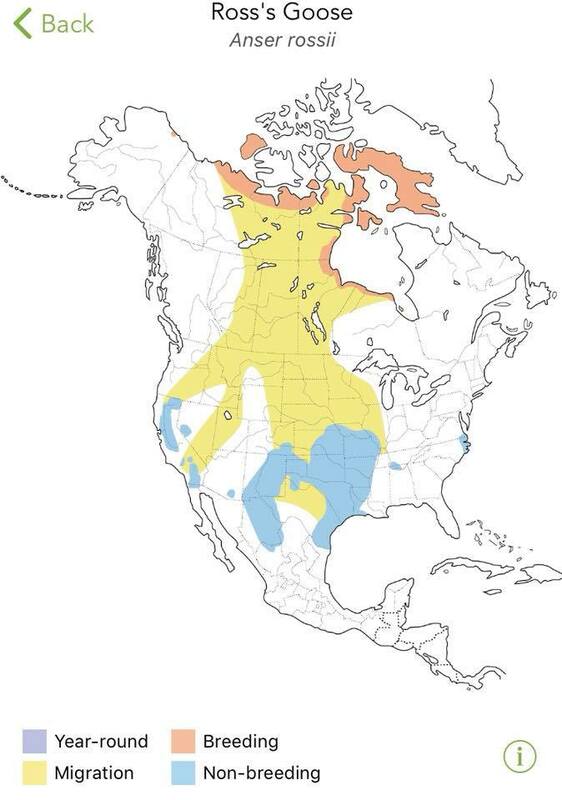 The Ross Goose breeds in the central Arctic and winters in California, the Southern United States, and Northern Mexico. 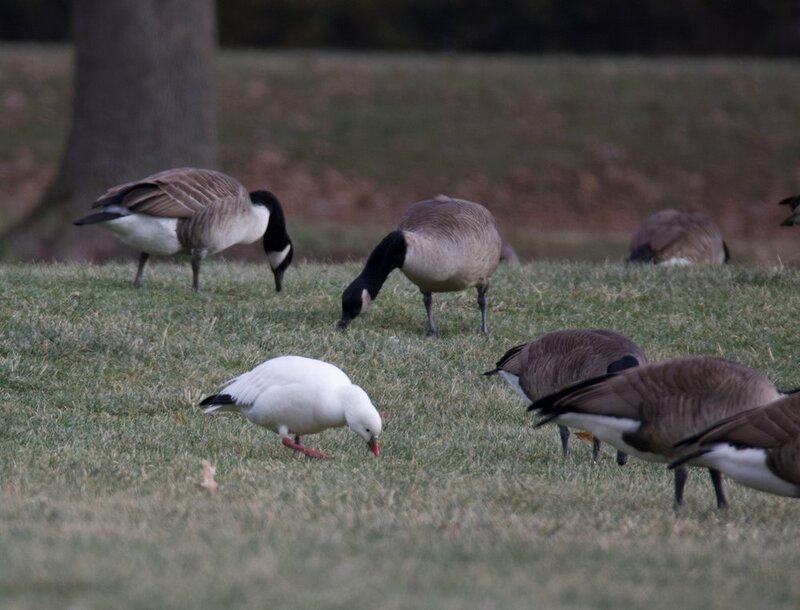 Migrates in large flocks in October and November but can also be seen mixed with other geese such as Canada Geese. They mostly eat grasses and grains.